I first discovered Paneer Bhurjee when I was studying in Pune, India. As a student, I scouted restaurant menus for delicious, nutritious, filling and most importantly, cheap food, that made me feel full for at least 4 hours or more. With my tight class and Student’s Council schedules, I barely had time for food. My college canteen or food court served up basic Indian fare, the deliciousness of which varied by the time of the day. Time of the day because they had cooks for different shifts in the day. At one afternoon during lunch, a classmate ordered Paneer Bhurjee. 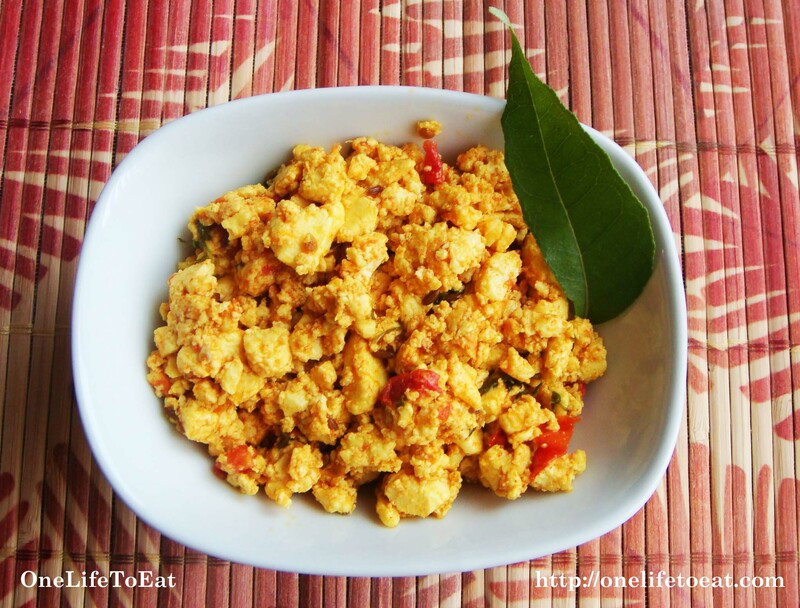 I knew about Egg Bhurjee, which is India’s answer to scrambled eggs – beaten eggs cooked with onions, tomatoes and mild spices – but I had never heard of Paneer Bhurjee. 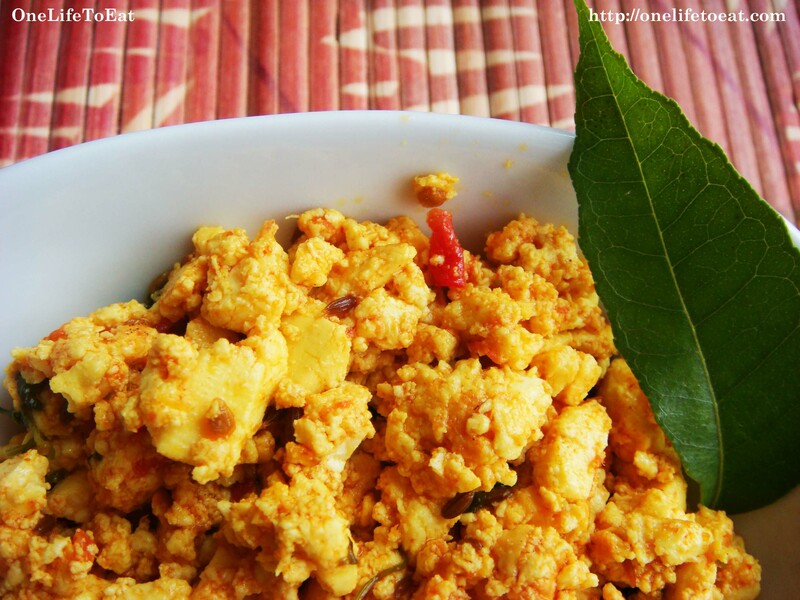 Essentially, Paneer Bhurjee is the same, replacing eggs with home-made cottage cheese. The result is a truly delicious and very easy-to-prepare dish (takes about 20 minutes) that is filling and nutritious. If you’ve been visiting my blog often, you’ll know that Paneer is an Indian home-made cheese and can easily be made at home. Here’s a great recipe with an even better video. You can also buy ready Paneer from any Indian grocery store, in their frozen section. 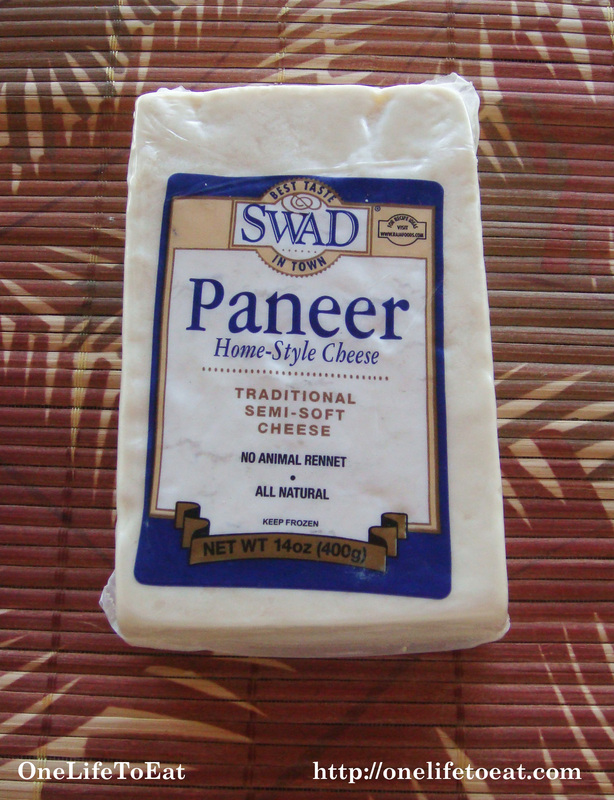 My favorite is the Swad brand of Paneer. It is available as a block as well as cubed. Preparing and eating Paneer Bhurjee takes me back to my days as a student. This dish represents nostalgia like no other dish does for me. 🙂 Paneer is an all-time favorite. I know some people I cater to, who have a lactose intolerance and cannot eat Paneer. Maybe you could mix it with a salad, in place of feta and savor it? That way you’ll be eating a smaller amount, but still getting a chance to enjoy the flavors of this simple cheese. Sabera, this looks amazing! I can’t wait to make it. I also have a love-hate relationship with dairy, Jenn, and I don’t know your preferences, but paneer is pretty easy to make with lactose-free milk if you have the time. There’s also organic lactose free milk available, although it can be hard to find. Anyway, I had a fair amount of success with it, so if you would really like to try this dish, give it a whirl! Thanks for the great tip Kara! Hey Sabera-If I can’t find Paneer (haven’t looked yet) what is a good alternative? Cottage cheese? Hey Heather! 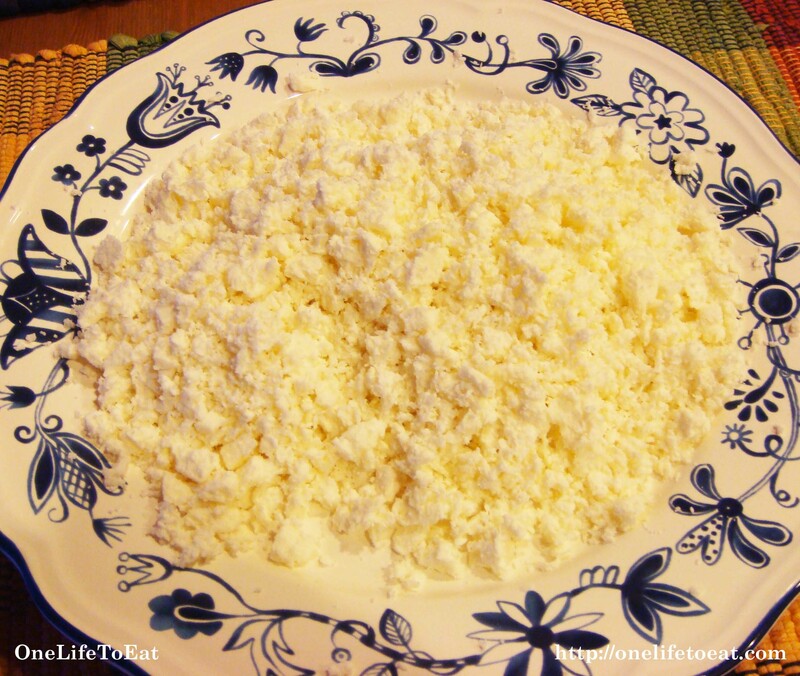 For this particular recipe, you can use the regular crumbled cottage cheese you get at grocery stores. I suggest you squeeze out any excess liquid from it by hanging it in a muslin or fine mesh cloth for a few hours. I still prefer the flavor of Indian Paneer, but if you don’t have an Indian grocery store close to you, do what I said above. Thanks Sabera! I’ll let you know how it turns out! This looks fantastic and is a pretty similar recipe to the one I followed. I usually cube then pan fry paneer which can be time consuming. It was really nice to shred it and enjoy it “fresh”. Thanks for the comment Nithya! I’ve realized that paneer soaks up too much oil when I pan-fry it, making it unnecessarily unhealthy. I use it as is most of the time.